Eliminating the challenges presented by a water event is just the kind of work that Tomas Lelczuk and his expert IICRC certified water damage Miami Beach specialists with 911 Restoration Miami are trained for, and their expertise is why the people of the area trust them above all else to do quality work. Solving the ins and outs of a water damage situation requires not only skill and a trustworthy hand at the job, but also someone who recognizes the needs and desires of the customer and puts those initiatives first above all. This is why we are available 24/7/365 to assist you. And a speedy recovery is why Tomas and his expert water damage Miami Beach teams are capable of responding to an emergency call within 45 minutes of picking up the phone. “We don’t want any home to have to wait for help when water damage occurs.” Tomas states. 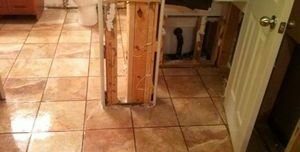 This is important because our water damage Miami Beach pros know that lingering water damage only makes the challenges more obtuse and costlier too. Don’t give water damage a chance to destabilize your perfect home. Contact Tomas and his IICRC certified water damage Miami Beach experts with 911 Restoration Miami Beach today for all the assistance you require! Tomas and his specialist water damage Miami Beach teams know water damage and all of its effects inside out, and that’s how they have come to realize that the best way to prevent a situation is to maintain the systems needed to keep one at bay. For this Tomas has devised some great tips to provide homeowners and businesses alike with all the information they need to avoid a water damage Miami Beach situation in the first place. “People need to make sure that their hoses and plastic fittings that connect to their water-based appliances are all in tip-top condition so that they don’t rupture and spew water all over the floor,” Tomas explains. Additionally, homeowners would find it advantageous to clean out their gutters and downspouts so that any debris lodged in there won’t cause water overflows which may warp and spread layers of protection in the roofing systems. “People also should have an expert come in with a scope snake once every two years or so and have their entire plumbing system inspected for issues that may develop into bigger challenges down the road,” Tomas says. And when it comes to prevention, information is always your best defense. This is why our water damage Miami Beach techs suggests keeping track of the weather systems in your area to know when potential events may take place that can bring water damage your way. Don’t let a water damage event take place in your stunning abode. Contact Tomas and his teams of water damage Miami Beach experts for all the assistance your home needs today! Tomas knows that water damage can happen anywhere and almost without warning to the good people of Miami Beach, and this is why his teams are around the clock for any kind of emergency that springs up. And this level of care for his clients is what puts Tomas and his water damage Miami Beach teams at the top of the restoration industry in Miami Beach and the surrounding area too. Our water damage Miami Beach crews are licensed, bonded and insured to handle all aspects of the restoration process, including helping you with your insurance paperwork. If you haven’t used your insurance before, our water damage Miami Beach unit knows that it can be confusing to understand what is and what is not covered. However, our water damage Miami Beach operation will file your claim for you, ensuring that your provider gets all the information needed to give you the best chances at obtaining full coverage. “We care so much about our customers and their homes that we will even file the insurance paperwork for people so that they don’t have to take on that task in addition to dealing with the stress of a water damage event.” Tomas relates. Don’t give water damage any chance to find a way into your home. Contact Tomas and the water damage Miami Beach staff with 911 Restoration Miami today for preventative advice or any other form of help you home needs!